"Did a complete tear off and re shingled my house and garage. Did an excellent job. Were prompt and curious. Very good with the clean up of old shingles. Would recommend." "They did a good job. And I would use them again in the future." "Put on a new roof, returned my call and met with me for an appraisal quickly. gave a fair price and had the job done in promised time frame. Workers took precautions to keep siding & windows safe and did excellent job cleaning up and removing everything. Would recommend & hire them again." "Beautifully. And they cleaned up afterward very well, including all the debris that had filtered into the attic." "The experience was very good, I felt informed about what was happening the entire time. He explained everything throughly and gave us different options. His estimates were not the lowest nor highest. Given high demand of his services he was not able to get to my roof for about a month, but once he began the work, the work was completed within 2 days. His crew working even when it was snowing outside! I would definitely use his services again." "They did a good job getting us on their schedule this fall as a late year job and kept us posted when they where delayed by weather. They did a good job on the roof too and cleaned up well." "They’ve been very proficient. I would suggest that it’s good to know that they are very professional, they are concern about their customers and they communicate well. They are timely and they have excellent follow up besides doing professional work. I refute three different cost estimates and their pricing was comparable to other companies. The quality of their work was excellent." "When the old shingles were torn off, the plywood was found to be delaminating. New wood was required. They were able to obtain the materials and get the job done in a quick and professional manner." "Great! He put a roof on for us 8 years ago with a materials and labor warranty for 10 years. There was a piece of shingle loose under a window and when I called them they came out the same day and fixed it. They also checked around the roof to see if anything else needed attention. The previous company (Larry T Schaeffer) put the roof on and when I said I could hear dripping, they told me they would fix it if I could find the leak! They also said it was a a problem with the shingles and I would need to contact the manufacturer of the shingles. Jimmerson is a quality company." 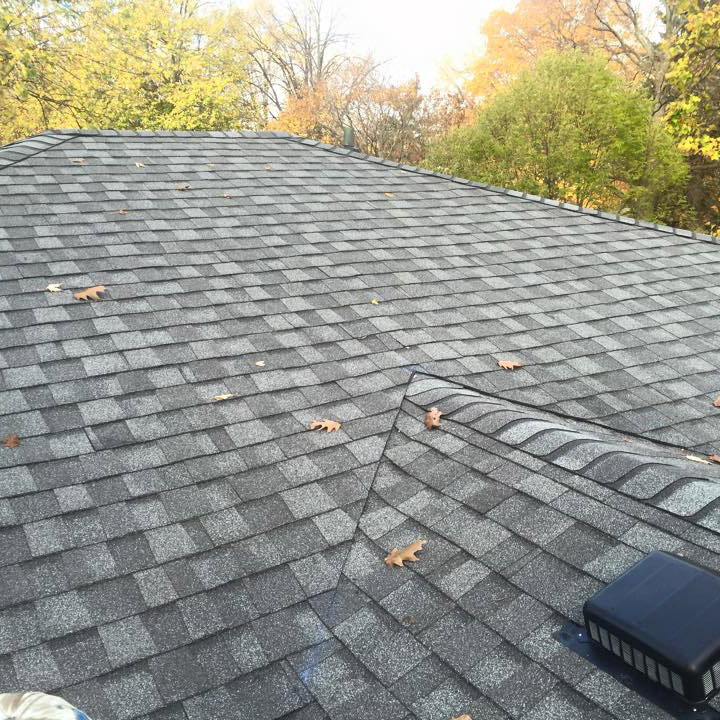 "Jimmerson Roofing did a complete tear-off of the old shingles and installed a new roof on my two-story house, including front and back porches and garage. John Jimmerson's advice about the color and pattern of the new roofing was perfect, and the dimensional shingles look great. The crew was professional and efficient, and I would definitely recommend the company."